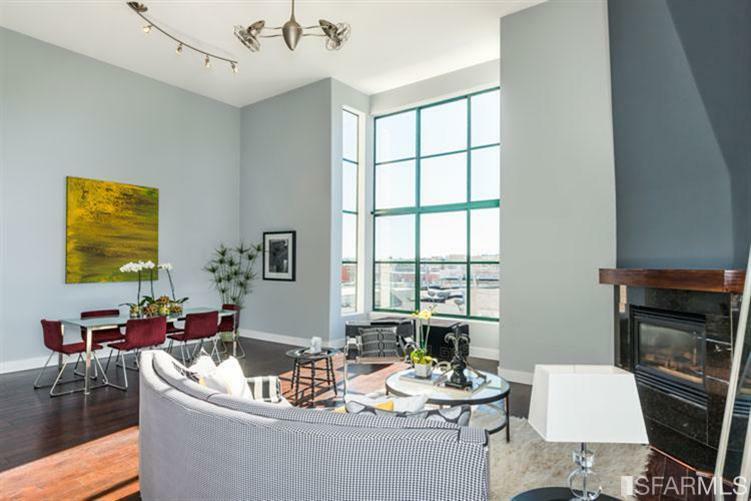 Located in the incomparable Valencia corridor, this modern spacious light-filled 1 bed, 1.5 bath condo will delight you. 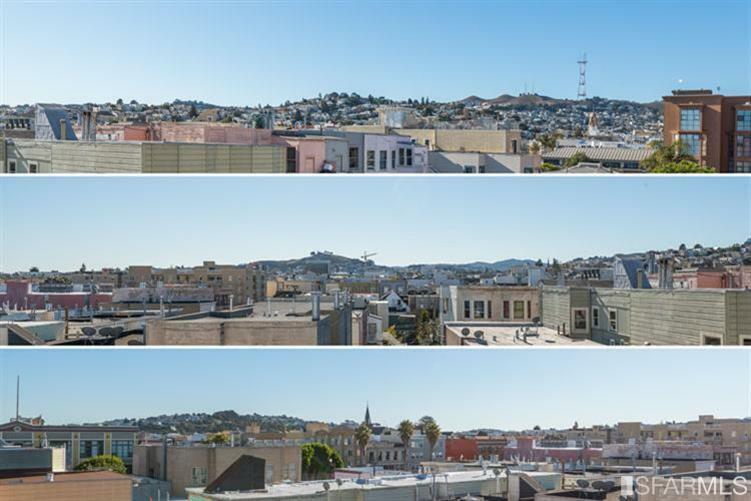 The open living/dining plan is gifted with 15 foot tall windows and 17 ft ceilings that look out to the South and Twin Peaks. The expansive master bed is located in the loft with a full size modern bath and tremendous walk in closet. 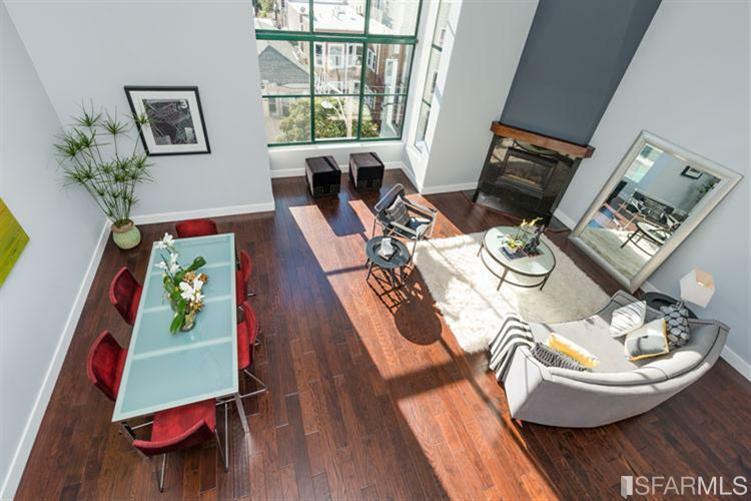 This home is the entertaining pleasure but if you must leave just walk out your door to an adventure: award winning dining, specialty food shops, eclectic shopping, Dolores Park, and everything you could possibly want in your neighborhood. Located 1 block from BART, Google, Apple and many other corporate shuttle routes and 1/2 block from MUNI bus stop and several car-share locations.